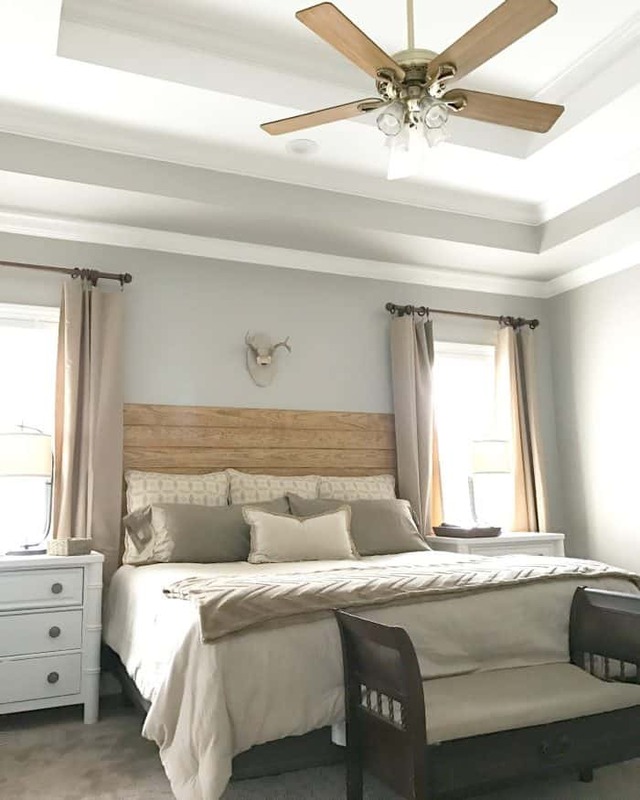 Have you every been paralyzed choosing the right paint for a room in your home? In this blog post I’m sharing what I have learned from 25 years of experience in choosing paint colors. Helpful tips that will get you moving forward in any room makeover. If you ever want a completely new look in a room but have very little money to spend, paint will be your best friend. When I completed our bathroom makeover by painting the walls and switching out art we already owned, it’s was an amazing transformation. To help you make this an easy project I thought I would share with you how to choose the right paint every single time. This is after all, the most important part. Paint samples. Paint swatches aren’t enough, you must buy a sample and paint it on the wall. I recommend that you paint your sample on multiple walls in a space. As the light changes throughout the day you can tell which color you love best. Paint sheen. The shinier the paint the more reflective it will be. I prefer eggshell or satin for walls. Satin will be better if you have small children. This sheen allows you to wipe the walls down when scuffed or dirty yet doesn’t overly reflect light. 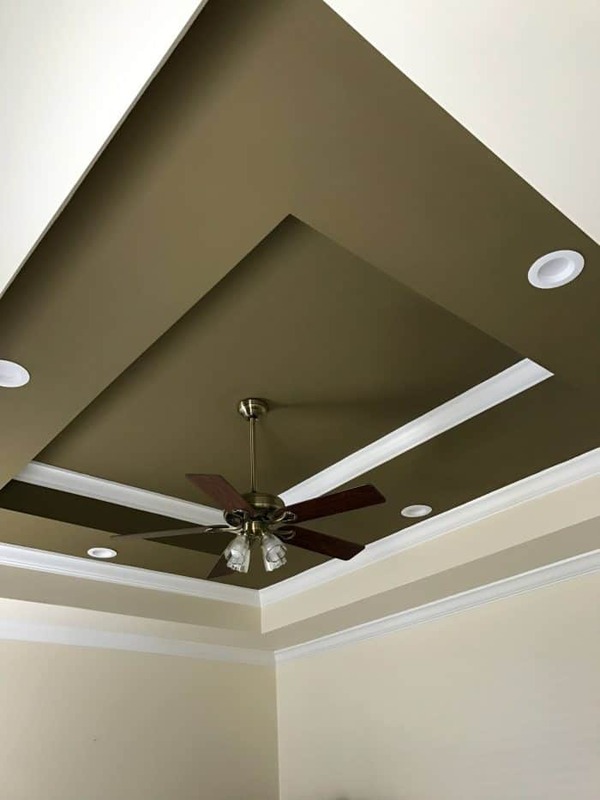 Flat paint will not reflect light but it is also not washable which is why most ceilings are flat paint. Stick with semi gloss or gloss for trim and doors. Paint shades. All colors are not created equal. There are actually so many options it can be overwhelming. Use the tips I shared in this post about choosing black paint and you will have greater success with your color. Everyone sees color differently so be sure you get a few shades of green, for example, to decide the right one. Paint YOU love. There will be times when you need to ask a friend or the guy at the paint store for color options but always follow your gut once you have colors in hand. Someone else’s favorite color doesn’t make it yours too. Paint paralysis. Leaving a color on the walls too long. When you continue to live with a color you have had for years because you can’t decide on a new color, I call this paint paralysis. People become frozen sometimes to at the thought of paying a painted. This is why I do it myself. However, IF you can’t do it yourself ask around for referrals. Facebook is a great place to ask. Don’t let choosing a color or a painter paralyze you from moving forward. Paint power. Not realizing the potential of changing only paint. Paint can really give a room an entirely new look. 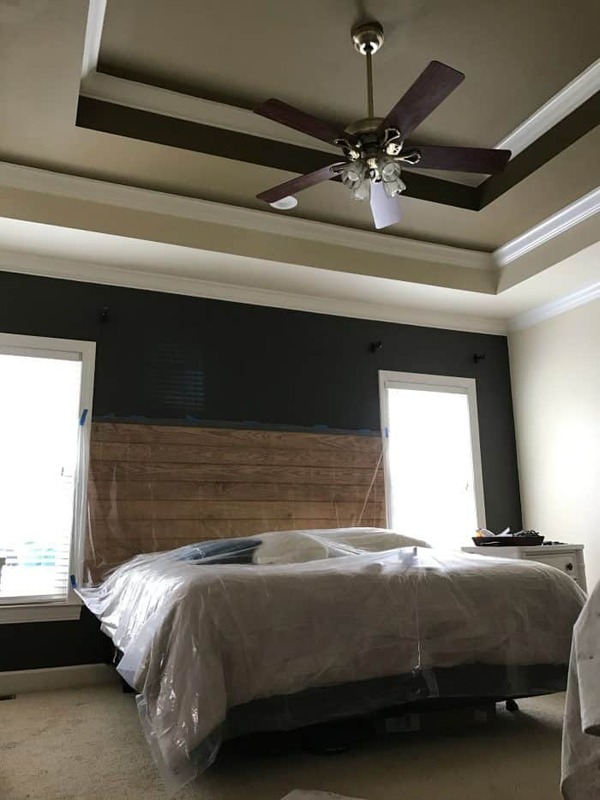 Recently I painted our master bedroom. In these photos you can see what a difference paint makes. New bed coverings are on my list but for now the new paint is enough. 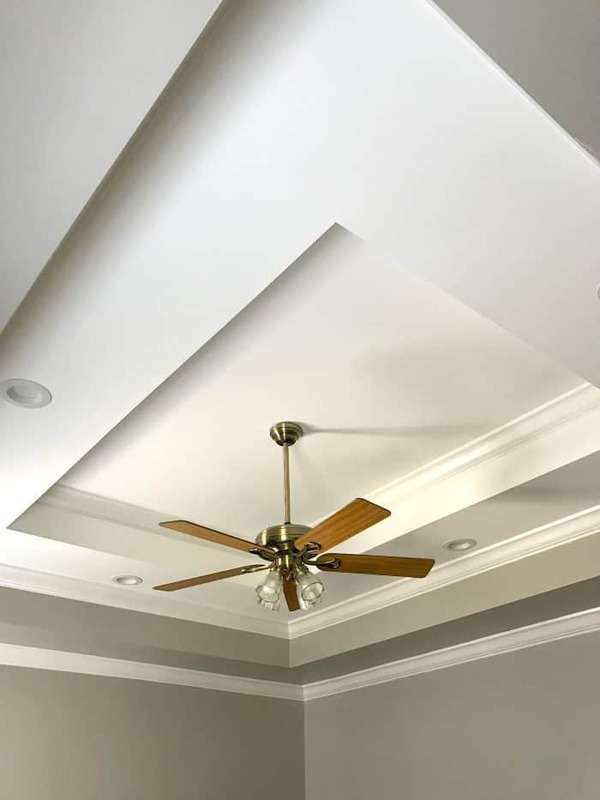 I did change up the ceiling fan for an additional free update. Same easy tip I used in our affordable family room makeover. Here is the master bedroom as it looked before it was painted. The headboard is a DIY project that was shared here on the blog. The dark walls and ceiling were great for the time I had them but I was ready for a change. 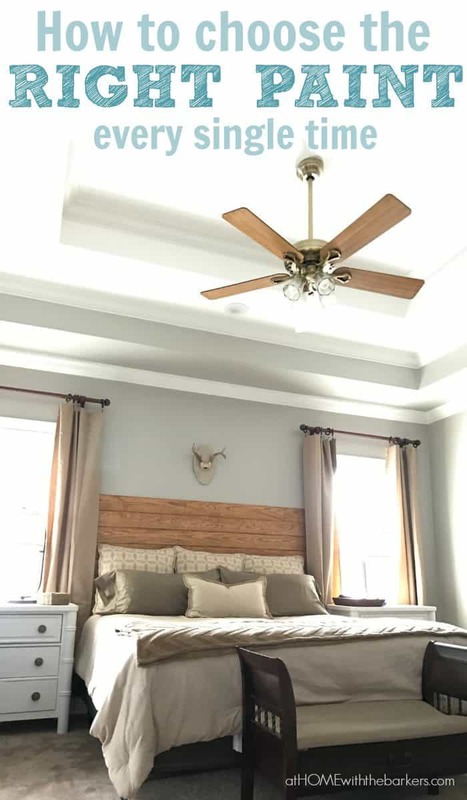 The colors changed from Enduring Bronze and Antique White to Mindful Gray and ceiling white. As always I love when you all email me or tag me on Instagram or Facebook with your projects that I helped inspire! Please continue to do that. I would love to take a day here on the blog and share them.